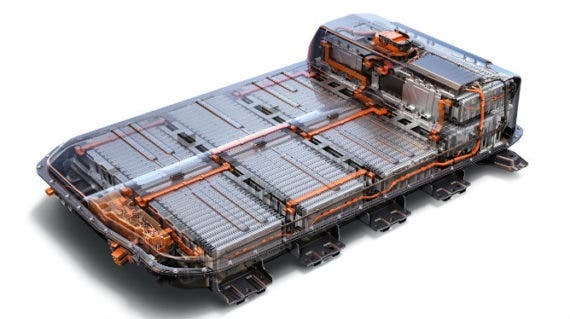 Since the Tesla Model 3 and Chevy Bolt were introduced, there has been considerable interest in the heart of their performance, the battery packs. These two cars have been pivotal in introducing lower-cost long-range electric transport. The Bolt sources its pouch type cells from LG Chem, while the Model 3 uses cylindrical cells sourced from Panasonic. The pack construction, design, and cooling use distinctly different approaches, and the cell chemistries differ. Both packs are sealed with entry points for liquid coolant and electrical connections. As with all well designed battery packs, the lithium cells are monitored and balanced with battery management systems (BMS). There are several Model 3 battery pack teardowns. Jack Rickard of EVTV disassembled a Model 3 pack, which begins at 29:00 in this video. Munro also did a teardown video for Motor Trend. The Munro teardown is extensive and detailed and also includes the rest of the car. The pack consists of cylindrical 2170 cells actively thermal managed and liquid cooled with flat coolant tubes in contact with the cells. This method of direct contact cooling effectively allows coolant to flow in a tube in contact with the sides of all cells. 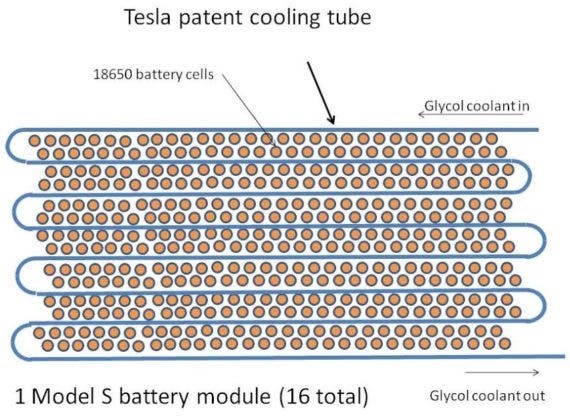 Tesla has employed a large number of parallel cells, each with its own fusible link, allowing cells to fail independently without affecting the rest of the pack and assuring high lifetime functionality and protection against individual cell failure. The operational energy is limited to about 75 kWh, but the computed capability is about 80 kWh. The report says there is 78.27 kWh usable capacity out of 80.5 kWh total capacity. The cells are reputed to be NCA (plus manganese) with reduced cobalt content and silicon graphite anodes. 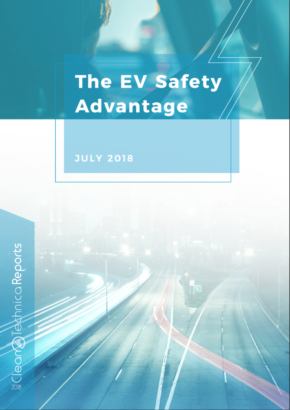 Tesla has recently announced it has been reducing the cobalt content in its cells. It’s worthwhile to note that in some ways, the distinction between NCA and NCM may be blurred because of the blending of materials. This is not uncommon with batteries, and is often used to strike a balance between energy and power. 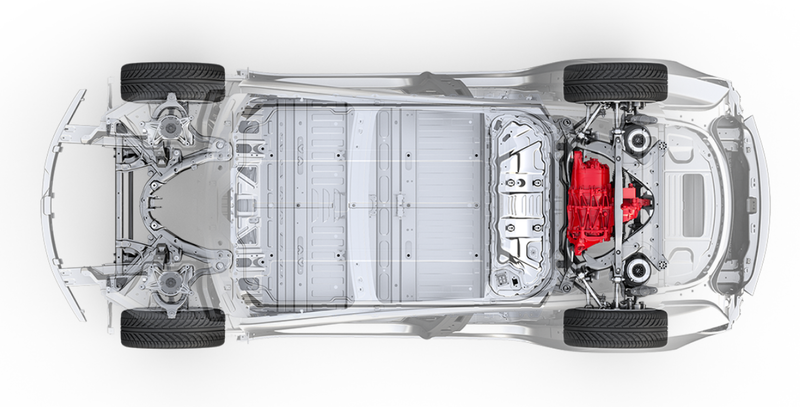 The Model 3 pack weighs 1,054 lb (480 kg), giving the pack gravimetric density of 168 Wh/kg. 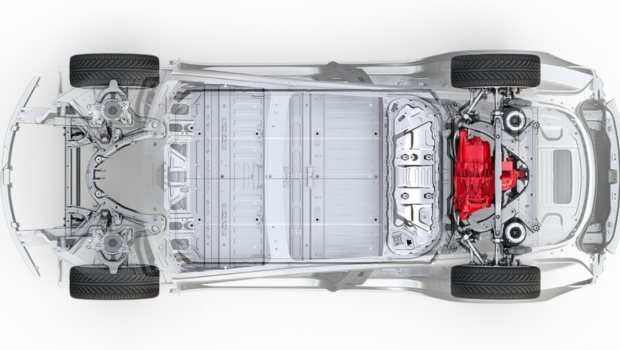 Essentially, the pack energy is the same as the heavier (1,300 lb) Model S P85 pack. The pack energy of 80.5 kWh consists of a total 96s (96 series) cell pack nominally the same voltage as S, 400V. With 96s, that gives a fully charged voltage per cell of about 4.17V, and at about 5A each. Screenshot of Jack Rickard on EVTV with a Model 3 battery pack. The pack consists of four modules — two 25s, two 23s — totaling 96s. The reason for not making them all 24s sections has to do with battery terminals and the need to terminate negative and positive leads at the same end of the pack. The modules are nominally 90V and 86V 233 Ahr. There are 4,416 cells in a 46p, 96s arrangement (p for parallel, s for series). There are then 46 parallel 5.065 Ahr cells, for a total of 233 Ahr, and a nominal (mid-discharge voltage) of 345.5V. 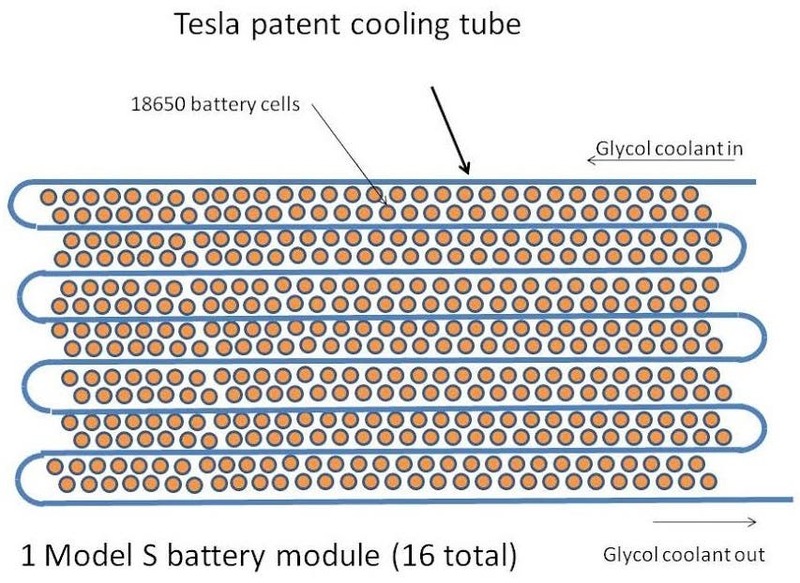 Tesla likes to use the term bricks to describe groups of cells. From the top, with the casing removed, the thousands of small vertical cylindrical tubes are closely packed, like eggs in a carton. This gives it the appearance of a highly repeated assembly. The pack is center tapped. It is common for EVs to have a center pack disconnect and fuse. Each module is about 235 lb. The modules are sealed in a metal box. Inside, each module is encased in plastic enclosures with mechanical connections to the outer box. These probably serve the dual purpose of electrical isolation and fire resistance. The cells are electrically connected at the top with fusible links to a complex shaped flat metal conductor. 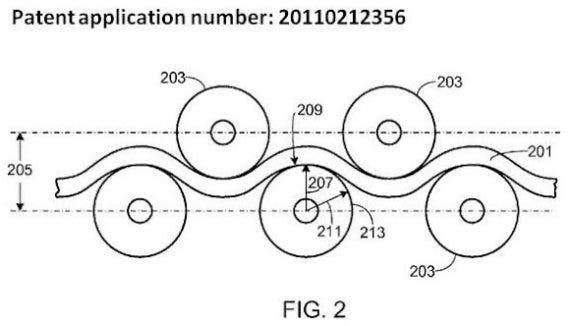 The fusible links bear a strong resemblance to large bond wires used in semiconductor power devices. High-voltage electronics are completely enclosed in a package above and attached to the battery pack. That includes the battery management system (BMS), charge controller, motor controller, fuses, DC–DC converter for 400V pack voltage to 12V accessory voltage and a DC–DC converter to convert rectified AC to battery DC voltage. There are connectors for front and rear drive units (electric motors) and a connector for a high-voltage air conditioning compressor and heater. 12V is for the 12V battery, lights, ignition, and so forth, mostly cabin items. The heater and air conditioning compressor runs from high voltage. The fully contained high voltage (HV) system is an advantage in fast assembly. Battery management, charging, and motor control are completely self contained. That makes the battery plus HV unit a completely functional electrical power assembly. The BMS is linked via a two-wire communication link, with one board per 23s or 25s unit. This is possibly an I2C link, a rugged low speed communication often used in noisy industrial environments. The opinion of both teardown teams is that the Model 3 probably has the best battery pack in the world today. The gravimetric energy density or specific energy (kWh/kg) is better than the Model S P85 pack. 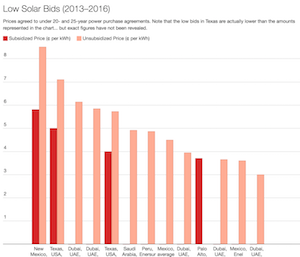 The Model 3 has more energy per pack weight than its competitors thus far. Both teams supplied superlatives to describe the Model 3 battery pack. Munro was particularly impressed with the cell matching, down to 0.2 mV. The BMS interface and cell balancing employ solderless connections, and the communication interconnect and conductors are built into the top-cover plastic. The pack looks like it was made for high-speed assembly. The Bolt pack uses LG Chem pouch cells and has active thermal management via liquid cooling along a base plate below the cells. 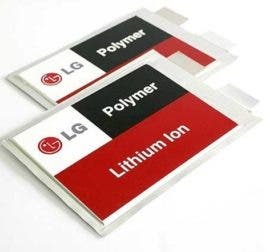 The LG Chem cells are most likely NMC 622, as LG has not yet introduced NMC 811, but plans to do so soon. Here’s a nice description of the Bolt cell manufacturing process from Wards Auto. The Chevrolet Bolt pack has also been disassembled, notably by John Kelley at Weber State. The Bolt pack weight is 960 lb (435 kg), just bit less than the Model 3. The Bolt 2.0 pack has a sticker affixed, stating that it’s a 57 kWh LG battery pack sourced from Korea. The computed pack gravimetric energy density is 131 Wh/kg. The Bolt pack assembly consists of a strong steel underside casing and cross members and a fiberglass or composite top cover, attached with bolts and sealed along its complete perimeter. The BMS controller is mounted inside the pack enclosure on top and at the rear. The BMS looks identical to the 2016 Chevy Volt BMS controller. The cell BMS is connected to the controller via a set of wire harnesses. Power relays are the only other devices inside the pack. 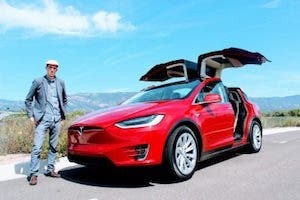 Unlike the Model 3, the other high-voltage units, high-voltage controller, and DC–DC converters are separate and mounted in other areas of the vehicle. When looking down on the pack as it is mounted in the car, pouch cells are oriented like books on a bookshelf, in groups. The pack consists of ten modules, two in a row. The modules on the bottom are labelled and divided into eight 5.94 kWh modules and two upper 4.75 kWh modules, for a labelled total of 57.02 kWh. Each module is compose of 3p (three in parallel) pouch cells contained in its own metal enclosure, like a book with pages. Eight of the modules contain ten 3p books, and two modules contain eight 3p, for a total of 96s, 3p. The pack consists of pouch cells, flat like a sheet of paper but thicker, like cardboard, housed three inside their own metal mechanical box assembly like a book. The pouch books are stacked to make modules like rows of books in a bookshelf. The 3p pouch boxes are held together at the ends by long bolts. The pack thermal management is regulated by sensing temperature via thermistors located at the ends of the modules. There are liquid coolant channels at the base of the pack. There are also metal sheets extending between the 3p pouch books. The vertical cooling plates are attached to the horizontal base cooling plate. The vertical plates help carry heat from the core of the pack to the base. The design was optimized for even temperature across the pack. The pack has a stacked module arrangement at the rear. The rear of the pack stacks modules on top, giving it the look of pillows on a bed. The upper shelf has its own base cooling plate attached with hoses to the liquid coolant loop and lower base cooling plate. The reviewer praised the construction for its ease and symmetry, making disassembly and replacement easier. Both the Model 3 and Bolt packs are well designed units, with very different designs. 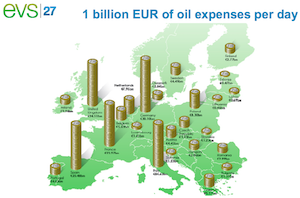 UBS did an analysis of both packs, revealing that costs were lower than previously anticipated. The Bolt pack is rated nominally as 60 kWh, but the module sticker rating totals 57 kWh. All pack ratings must be taken with a grain of salt because pack performance depends on many variables, especially temperature, and usable output can be derated in operation. Pack voltage also decreases on a curve during discharge. Accurate pack energy cannot be obtained from a simple calculation of voltage and current. The Bolt pack is made of pouch cells, with three in parallel, and benefits from reasonably rugged and organized pack construction using base plate cooling that includes fuses, relays, and BMS. The LG Chem cells are high-performance units capable of yielding a long range pack. Using fewer cells, cell assembly has simpler construction, and the components like BMS controller are separate, which allows access and repair. The thermally managed coolant method does not directly pass coolant past the full area of the cells, but plates are placed between the cells for heat conduction, and the pack is designed for optimally even temperature distribution. At about the same weight as the Model 3 pack, the Bolt has less energy, but is still quite capable and representative of some of the highest performance available. 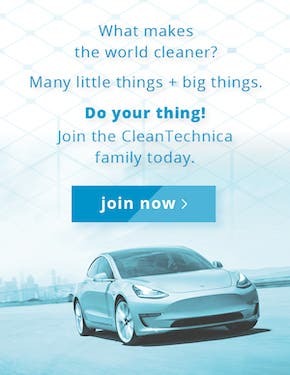 The 75 kWh Model 3 pack is state of the art, likely the best specific energy, cooling, and electronics available, and is conservatively rated at 75 kWh. It is also designed for ease of final car assembly, with the entire pack, BMS, controller, and high-voltage unit in one assembly. 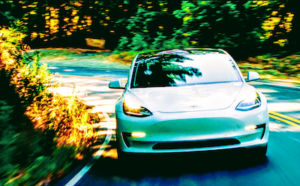 The Model 3 pack may be the best in the world right now, with an even higher gravimetric energy density than the Model S P85 pack. With many small cells, the assembly must be automated. This approach creates reliability via redundancy, but pack repair may be more involved. The active thermal management system passes coolant along the sides of all cells, affording excellent cooling. In all, both packs are modern, well designed packs with active thermal management and high energy density. They yield excellent performance, and allow long range and powerful acceleration.